KRISTIN KINGSLEY originally hails from Kansas City, Mo. where she danced professionally with the Kansas City Ballet (formerly State Ballet of Missouri). She began her studies with Diana Adams, Una Kai, and Todd Bolender. She continued her studies with Sandra Jenings, Bart Cook, and John Prinz. She was also a student of Victoria Fedine, Maria Tallchief, Allegra Kent, and Melissa Hayden. Her repertoire favorites include Dance of the Hours from Coppelia, Alvin Ailey’s The River, Violente Fairy from Sleeping Beauty, Kitri in Don Quixote, Snow Queen and Sugar Plum Fairy from The Nutcracker, and Autumn Fairy in Cinderella. Ms. Kingsley moved to Colorado in the summer of 1996 and has been very active in the arts of Longmont and its surrounding area. She formed the Longmont Dance Theatre Ballet School in 1998 to offer Longmont and its surrounding area a pre-professional ballet school. The school began with 60 students and now, with over 350 students, it is still the only pre-professional ballet school in Longmont. LDTA students have been hired as trainees or apprentices with Ballet Chicago (Danny Duell), Louisville Ballet, Atlantic City Bally, and Ballet Austin. Students have been accepted to the following summer intensive programs, many with full or partial scholarships: Ballet Met (Columbus, OH), Ballet West (Salt Lake City, UT), Boston Ballet, Kansas City Ballet (MO), Joffrey Ballet (NY, NY), Julliard (NY, NY), Jillana’s Technique in Taos (Taos, NM), San Francisco Conservatory, State Street Ballet (Santa Barbara, CA), American Ballet Theatre (divisiona in Detroit, California and Atlanta). LDT students have been accepted to the following schools: CU Boulder, UNC Greeley, AMDA, Walnut Hill School for the Arts, San Francisco Conservatory, and the University of Utah. The Longmont Dance Theatre performs with the LDTA Chamber Orchestra presenting the Nutcracker this season. 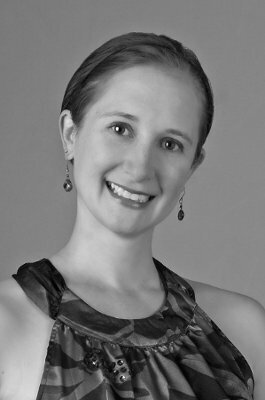 Ms. Kingsley has choreographed numerous ballets for LDT, including the holiday favorite The Nutcracker as well as The Lion, The Witch, and the Wardrobe.